It's been a busy week for me, video game-wise: I've been knee-deep in a Minecraft addiction since last weekend, when I booted up the game for the first time, and it has absorbed most of my available recreation time (and quite a bit besides) over the past two weeks. Have I told you about how yesterday's 1.5 update enabled us to complete the Tree City Transit System, a railroad in the sky, as originally intended? 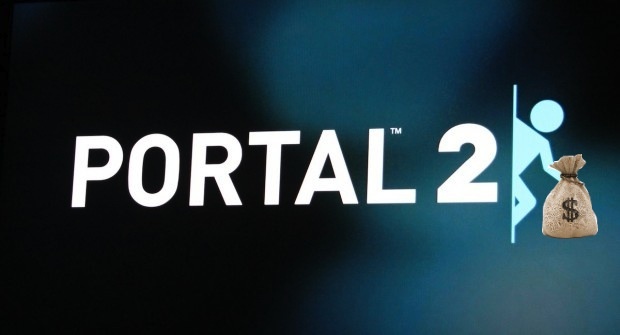 The thing I really wanted to talk about was Portal 2, the first-person puzzle game from storied developer Valve. It's the sequel to 2007's Portal, which was originally packaged in The Orange Box along with the entire Half-Life 2 story and Team Fortress 2, and it somehow managed to be the clear standout in this collection of standouts. It inspired endless memes, oft-repeated jokes, and (most importantly) tons of critical acclaim and sales, and its success led directly to the standalone package that is Portal 2. 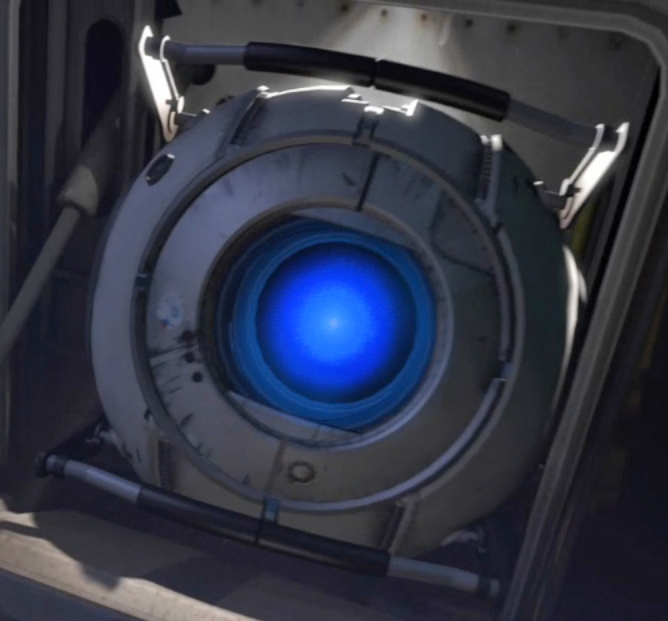 As of this writing, I'm about halfway through the game, so I don't want to try a proper review of it (and maybe I wouldn't want to anyway), but I did want to talk about the game's value, something that gamers have decided to take umbrage with: since the original Portal was but one slice of a $60 pie, why is Portal 2 a full-price pastry all by itself? It's more complicated than that, but details aren't really stuff you put before the jump. Here's the scoop: Portal was, for most players, a four or five hour main story with a few challenge modes thrown in, and as such the $20 (proportionally) price tag was perceived as appropriate by gamers (the entire Orange Box, of which Portal was arguably a third, went for $60). The game's brevity was even praised, in most cases - it was compact, but there was a lot of content in that little package, without the padding and the repetition and the backtracking that games sometimes employ to increase their play time. Other games of similar length have safely charged $60, mostly due to the inclusion of a multiplayer component, but Portal didn't have one and didn't need one - in The Orange Box, that role was fulfilled by Team Fortress 2, and later on when Portal was sold separately it was usually for $20, the same thing it cost (proportionally) as part of the complete Orange Box package. All of this is a roundabout way of saying that gamers had no issue with the amount of content Portal offered for the price. Portal 2's value proposition is dicier, at least according to a piece Kotaku posted yesterday: Gamers seem miffed that they're paying three times as much for a single-player story mode that's about the same length (though there is some disagreement about how "long" the game actually is). For my own part, I can't speak to how long the game is because I haven't finished it yet, but for the purposes of this discussion I'll assume the worst and say that it's the same four-ish hours long that the original game was. Because it's a puzzle game, once you've gone through and solved its puzzles, you can't really get the same satisfaction out of doing it again because all of the puzzles have the same solution each time you play them. You can try to cut down on the number of portals you use or do time trials (that's what the challenge modes are for), but you're still just doing the same thing faster. Adding to the game's value is the addition of a multiplayer mode, which (full disclosure) I haven't spent any time with yet - reports say it, too, lasts some four to five hours, though it has a heavier emphasis on puzzles and less on the series' trademark dark humor. Combining just the playtime, this brings Portal 2 up to eight to ten hours, similar in length to many lightweight FPS or action games. Some will complain that this doesn't count because they don't have someone to play it with or they just don't care about it, but just because it doesn't interest you doesn't mean the content isn't there. And there are other things to consider: the PC/Mac version offered through Steam could be discounted if, for example, you bought a two-pack with someone else. The PS3 version (the one I bought) included both the PS3 copy and the PC/Mac version for $60, which is a pretty impressive value if you have a computer that can play it, though that doesn't really get around the fact that it's still the same game with the same content regardless of the platform you prefer. We should also take into account the fact that the game will be $30 or even $20 by the time the holidays roll around, and the fact of the matter is that you can ultimately buy the game for whatever price you think it's worth. When game prices fall as quickly as they do today (especially on the used market), it's become increasingly evident that at least part of what you buy when you pick up a new, $60 game is the opportunity to play it before anyone else. If, like many gamers, you have multiple platforms and quite a bit of backlog, just find something else to play until the price is something you deem fair. Even without considering that last caveat, Portal 2 isn't really worse than most with respect to dollars-per-gameplay-hour, even if it's not better than many people either. I wanted to play it on launch day, so I think the price is fair. If you don't agree, today's Triple-A Game Of The Moment is piled up in tomorrow's $20 bargain bin faster than ever, and if you're that upset about the price you can just wait it out.